LAHAINA, MAUI — ‘Ohana Health Plan, a WellCare Health Plans, Inc. (NYSE: WCG) company, announced it will sponsor the ‘Ohana Health Plan R.E.A.C.H. Maui Middle School Volleyball Tournament on Saturday, Dec. 10. More than 250 players representing all eight middle schools in the Maui district will take part in this day-long tournament at the Lahaina Civic Center at 8 a.m.
R.E.A.C.H. (Resources for Enrichment, Athletics, Culture and Health) is an initiative of the Office of Lt. 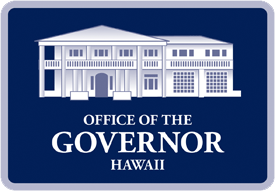 Governor Shan S. Tsutsui, in collaboration with the Hawaii State Department of Education and the Hawaii State Department of Human Services’ Office of Youth Services. It provides an organizational framework and funding base for after-school programs for middle school students throughout the state. Since R.E.A.C.H. was launched in 2013, 39 public middle and intermediate schools from across the state have benefited from the program’s funding. To date, along with its partners in the business sector, the initiative has awarded $2.25 million to middle and intermediate schools statewide. Furthermore, the initiative’s middle school athletic pilot has enabled a district-wide athletic program in Maui. As of September 30, 2016, ‘Ohana Health Plan has nearly 240 employees in Hawaii and serves approximately 57,000 members through its offices in Kapolei, Honolulu, Hilo and Kahului. ‘Ohana Health Plan is offered by WellCare Health Plans, Inc. WellCare provides managed care services targeted to government-sponsored health care programs, focusing on Medicaid and Medicare. WellCare offers a variety of health plans for families, children, and the aged, blind and disabled, as well as prescription drug plans. The company serves approximately 3.8 million members nationwide as of Sept. 30, 2016. ‘Ohana has been able to take WellCare’s national experience and develop an ‘Ohana care model that addresses local members’ health care and health coordination needs. 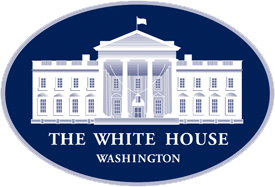 As of Sept. 30, 2016, ‘Ohana serves approximately 49,000 Medicaid members, 8,000 Medicare Advantage members, and 400 Medicare Prescription Drug Plan members in Hawaii. For more information about ‘Ohana, please visit the company’s website at www.ohanahealthplan.com.